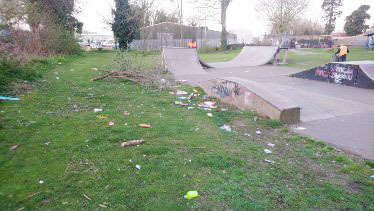 This is the scene which greets Boston Borough Council’s grounds staff almost every morning at the skatepark in St John’s Road. They use their valuable time picking up the litter – valuable time that council tax payers pay for. So now an appeal has gone out for those enjoying their time at the park to use the provided bins, which are right next to the skate ramps, and please leave the area litter free.